Ricky Ponting today announced that his Biggest Game of Cricket charity game played between the North Melbourne and Hawthorn football clubs at University of Tasmania Stadium in January this year, will deliver more than $400,000 into the Tasmanian health system. The game was promoted by the Ponting Foundation and 10,120 Tasmanians dug deep to support the Foundation’s work with Tasmanian children with cancer and other local health projects. Ponting made the announcement pre-game at Blundstone Arena in a presentation ceremony with the Premier of Tasmania, the Hon Will Hodgman. “I’m thrilled today to confirm that with the incredible support of the North Melbourne and Hawthorn Footy Clubs, the Ponting Foundation raised an amazing $213,000 from our Biggest Game of Cricket game in Launceston that the Roos boys won back in January,” Ricky Ponting said. 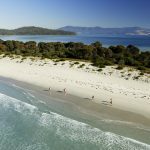 “It’s the overwhelming support and generosity of the Tasmanian people that has delivered this amount of money and we are very humbled by all of this. The Ponting Foundation will ensure that every cent gets used to make a difference here in Tassie,” Ponting added. “The Tasmanian Liberal Government is proud to work with the Ponting Foundation to raise money to benefit Tasmanians in need,” Hodgman said. “Our existing partnerships with Hawthorn and North Melbourne deliver great social and economic benefit to Tasmania. The involvement of players in Ricky’s Biggest Game of Cricket charity event speaks volumes about the clubs’ broader commitment to Tasmania and its communities. We are pleased to match proceeds raised at the charity cricket game with our cheque for $213,000,” he said. Ponting confirmed that his Foundation was well advanced in plans to play a similar game in Hobart next summer as well as working towards something even bigger in 2019. The Ponting Foundation was formed in 2008. While it has a national blueprint supporting children with cancer and their families all over Australia, Ricky and his wife Rianna have consistently prioritised Tasmanian families. 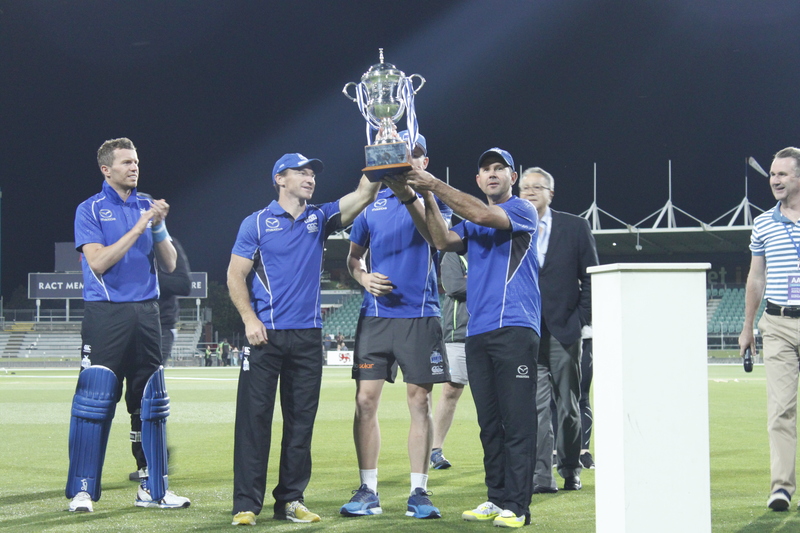 The January game, won by North Melbourne in the final over, was the third major event staged by the Foundation in Tasmania. Its first showcase was the Parkinson Ponting and Warne stage show held in Hobart in 2011, followed up by the Ricky Ponting Tribute game played in Launceston in 2014. The three events have now generated more than $1.1m into the Tasmanian health system.